Arcadia At Home Members know how to have fun on the farm! Our members recently traveled to Kahumanu Farms in Waianae to tour their organic farm! Members visited with the chickens and goats and were able to sample farm-grown food. 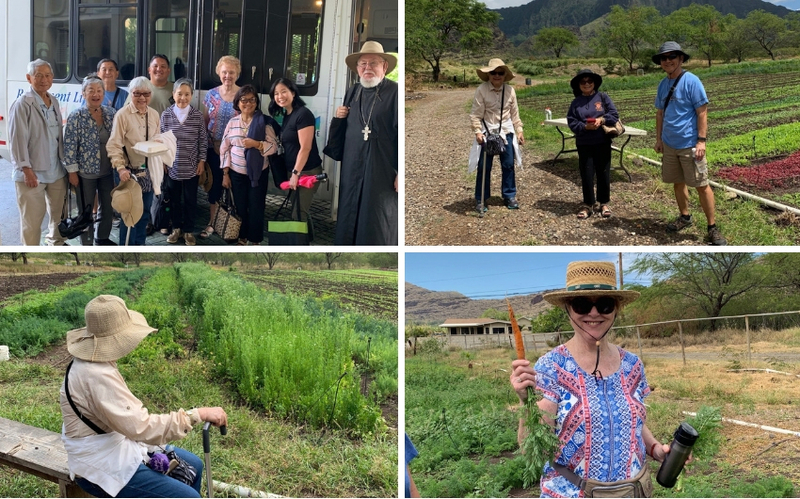 In addition to growing close to 100,000 pounds of organic food a year, Kahumanu continues to support efforts for vulnerable populations including the homeless, disabled and youth. They have a learning center, a café, a commercial kitchen and even lodging spaces for those who need an alternative accommodation or retreat! After their tour, members enjoyed a truly ono lunch in the farm fresh cafe! Thank you Kahumanu Organic Farm & Cafe for your hospitality!